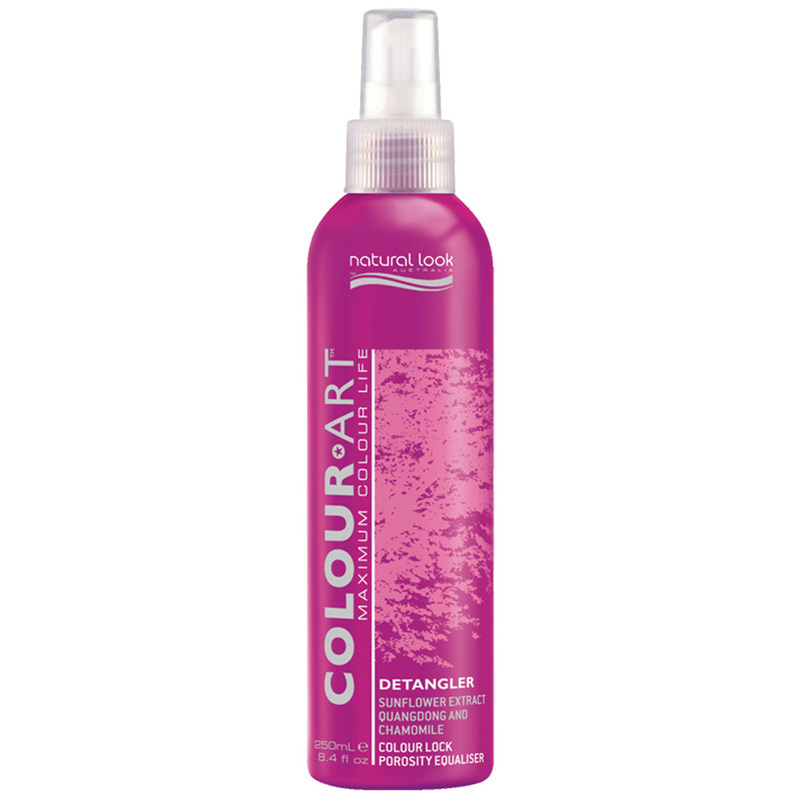 Natural Look COLOUR*ART Colour Lock Detangler a Leave-in protection has been especially formulated with Native Australian Plant and Flower Extracts to provide on-going protection and improve manageability of colour treated, dry or damaged hair by restoring moisture and the natural pH balance. The regenerating properties of Sunflower Extract, which is high in Vitamin A, E & D, also aid to protect from the drying effects of the sun, chemical treatments and thermal styling. Daily use will condition and maintain colour, without adding weight.